The Southeastern Pennsylvania Parents’ Association (SPPA) recognizes and fills the need for a support system for families of US Naval Academy Midshipmen. The same camaraderie that helps our Midshipmen succeed at the Academy works well for parents who are trying to understand their role in the process. Since 1990, our non-profit association has been instrumental in facilitating parent support, information, and social activities for parents of Midshipmen in the greater Philadelphia area. 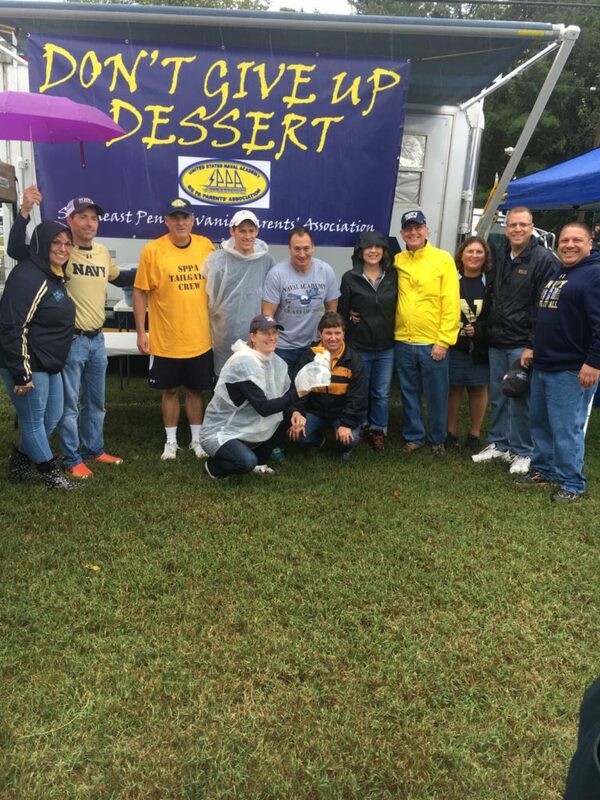 Our members also take pride in supporting the entire Brigade of USNA Midshipmen through our “Don’t Give Up Dessert” Tailgate after every home football game.